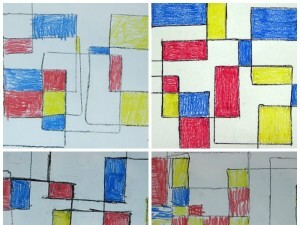 Here’s a simple way to introduce young children to the art of Piet Mondrian. 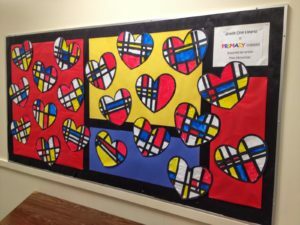 It’s Piet Mondrian… with a Valentine’s Day twist. 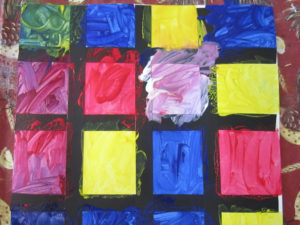 Students will learn about geometric shapes and color as they create a picture in the style of Piet Mondrian. 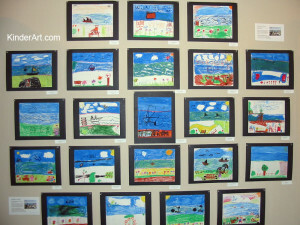 Students will create their own garden by the sea inspired by the original Claude Monet painting. 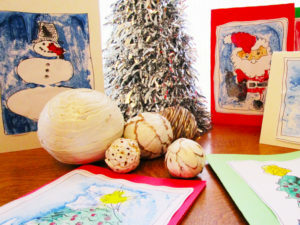 Kids can make handmade cards using paper, paint and a monoprinting technique. 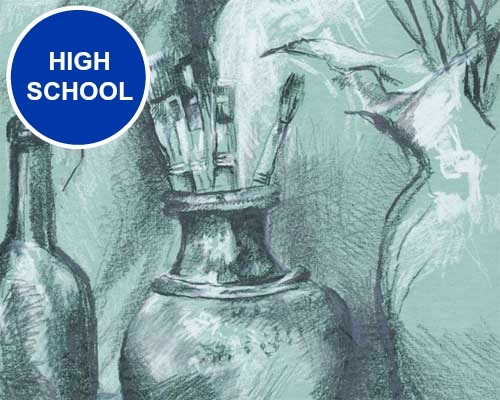 Students will learn how to make monoprints using aluminum foil. 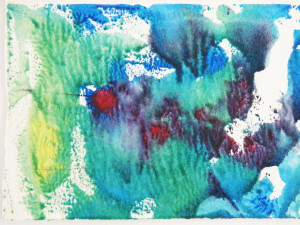 Monoprinting is a process whereby only one print is pulled from the printing plate. 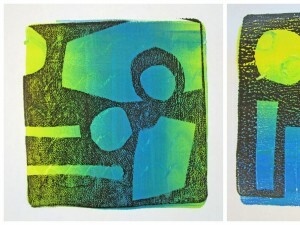 Find out about the Gelli Arts® printing plates and discover how easy it is to make amazing monoprints. 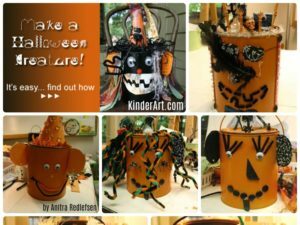 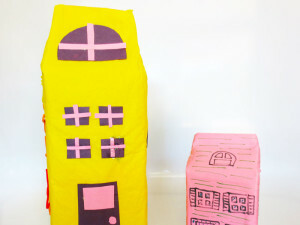 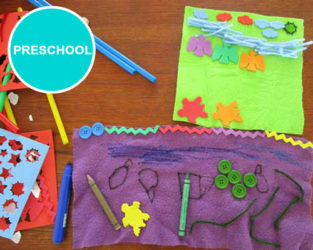 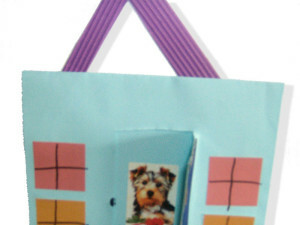 Children will create a house for their pet using construction paper and photographs. 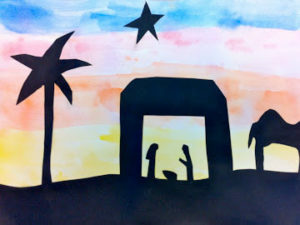 This is a lovely way to create a nativity (or other) scene for Christmas. 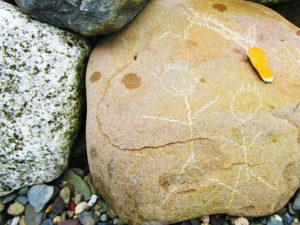 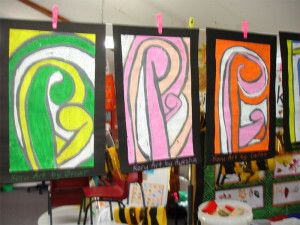 Kids can make their own Maori Koru art. 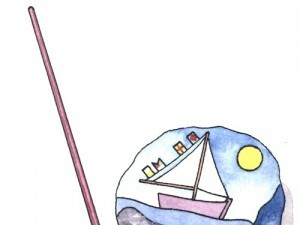 An ocean drum sounds remarkably like the waves at the seashore. 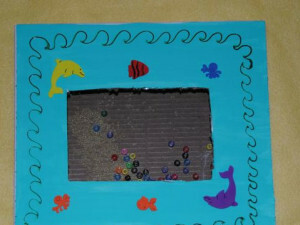 Find out how to make an ocean drum here. 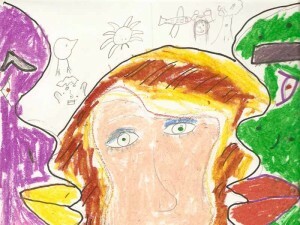 Students will create images inspired by Dutch Surrealist Hieronymous Bosch. 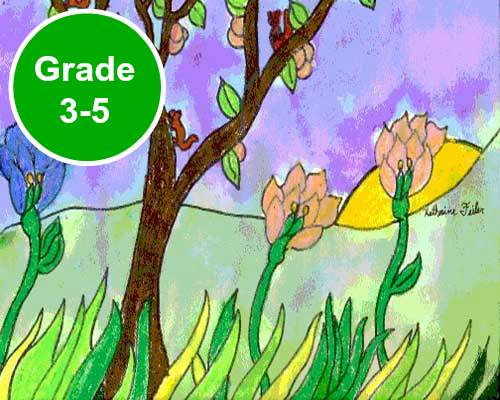 Students will learn about the difference between organic and geometric shapes. 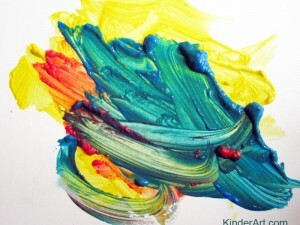 They will also learn about warm and cool colors. 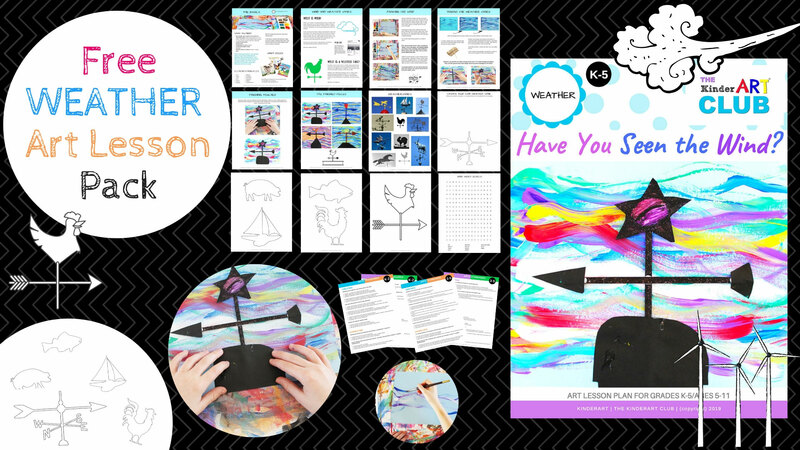 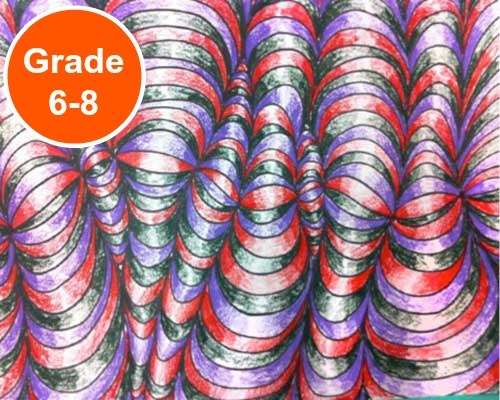 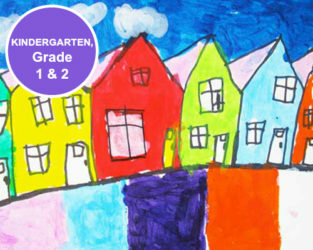 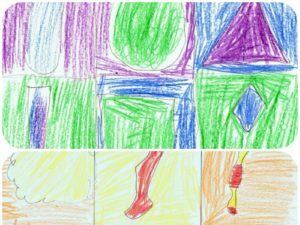 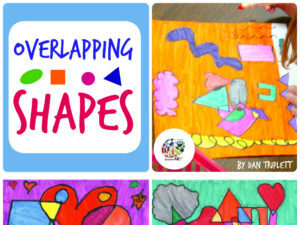 Students will learn about line, shape and color as they create colorful works of art. 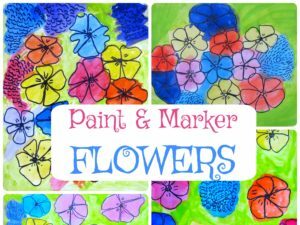 Students will create flowers using paint and markers. 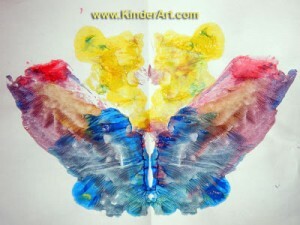 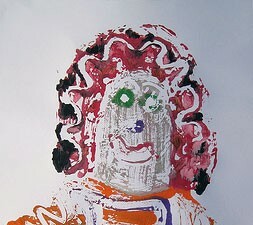 A paint blot is a simple version of a monoprint. 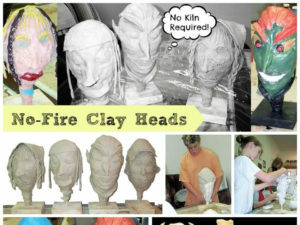 It is fun and easy for all ages. 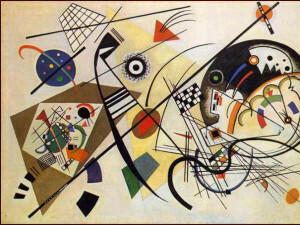 Students will explore the expressive qualities of line and color through the study of Wassily Kandinsky. 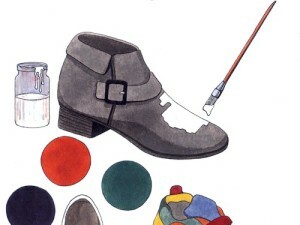 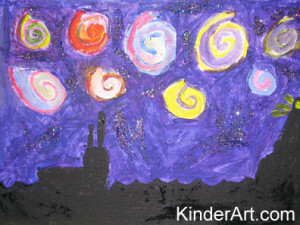 They will also become more familiar with the painting process, as well as different kinds of colors and lines. 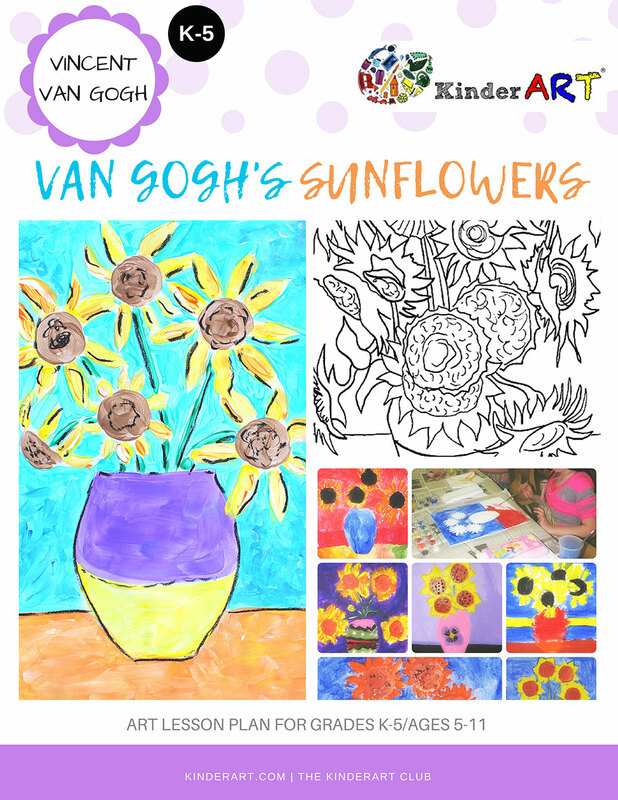 Students will learn about Vincent Van Gogh as they create a painting in his style.